decisions this an unfortunate one. Most rally drivers are complaining that the cars are less easy to drive with these devices fitted since the chassis handling capacity is under-exploited. Most of the negative effects of turbo restrictors are efficiently addressed by electronic engine management systems. A turbo restrictor is essentially a tube fitted directly on the turbocharger's air intake. We will not go into very technical (bureaucratic) details on their geometry but their main purpose is to reduce the turbine's air intake flow and, consequently, its output. The internal diameter of the restrictor is being continually reduced by FIA regulations from 38mm (1992) to 36mm (1994) to 34mm (1995) and now 32mm on GroupN cars (the 34mm restrictor still applies to GroupA cars). Turbo restrictors also increase the turbo's lag time but most teams overcome this effect by fitting anti-lag systems. 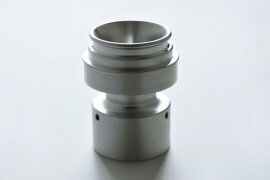 The turbo restrictor's effect is mostly noticed in high engine RPM (above 5000). In this region of operation, the engine's output is very dependent on air flow. This is why engine heads are ported and air intake channels are polished to optimize air flow. The restrictor's effect on engine torque is beneficial. Peak torque values are obtained in medium engine rotational speeds. The presence of the restrictor, which actually accelerates the gases flowing through it and directs the air flow to the center of the turbocharger's compressor wheel, essentially increases the engine torque. We can roughly estimate the drop in engine power to be as high as 40% whereas the engine torque can be increased, through appropriate engine management, by around 20%. Toyota Team Europe has been banned from competition for the next 12months, and the points already gained in the 1995 World Rally Championship have been taken away by the FIA. "It's the most ingenious thing I have seen in 30 years of motorsport." admitted FIA President Max Mosley after an extraordinary meeting of the FIA's World Council convened following technical reports on Toyota from the Catalunya Rally. The offending illegally modified turbo restrictors which banished Toyota from the WRC. The restrictor was not sealed so it was possible to move it without touching the seals. It was possible for airto enter the engine without passing through the restrictor. The position of the restrictor could be moved so it was further away from the turbine than the50 mm limit permitted. The FIA estimates that 25 per cent more air was allowed into the engine than permitted although admits it's difficult to estimate how much more power that would achieve. An expert put it as high as an extra 50 bhp—a considerable advantage when the cars are supposedly limited to 300 BHP. TTE did not claim the device was legal but was represented by lawyers who entered a plea in mitigation. Mosley went on to say that the points Toyota and their drivers, Juha Kankkunen, Didier Auriol and Armin Schwarz had gained in 1995 would simply be taken away but others would not move up to fill the gaps. The team would also be banned from contesting the 1995 Network Q RAC Rally and the 1996 World Rally Championship. He also stated that the FIA would not allow the team to get around the restrictions by entering under another guise and went on to say that there was however, nothing to suggest that the drivers were aware of anything going on. According to Toyota the device had been devised at a "certain level" and the management knew nothing about it. The FIA dismissed this claim, saying that as a team they were responsible for all their actions. He went on to say that there were indications that this type of thing was not happening with in other teams and praised those who were concerned with discovering the irregularity. TTE has announced that it is planning to appeal against the ban extending through 1996. The absence of the team would weaken an already frail championship and leave it to a fight between Subaru, Mitsubishi and Ford with Subaru being the obvious favourites.